Everything from the contemporary to the classic. We have sourced some of the most exciting colours to make your new door unique. Put simply, Solidor make the very finest composite doors in the market today, packed with features and market firsts that aren’t available on any other door on the market. Unique colours, exclusive high security hardware and beautiful features are just some of the reasons why consumers demand them. Our high security Solidor composite door range is an outstanding collection of solid laminate 48mm timber core composite doors that combine traditional styling with high security locking, which provides a stunning, high quality and secure entrance to any home. 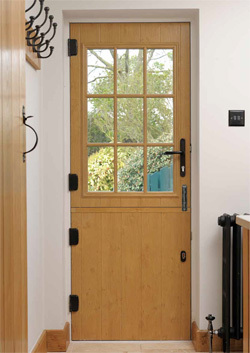 These exclusive doors are available in a range of 8 traditional styles with 14 colour options with a comprehensive range of matching combination frames with woodgrain options, that will compliment the look of any property. The option of a low threshold, makes it the perfect solution for easy wheel or push chair access. With a full ten year guarantee you can rest be assured that our traditional composite doors will still look good for many years to come. 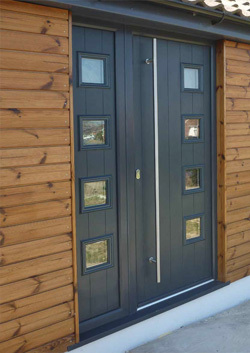 All our composite doors conform to PAS 23 - 1:1999 and PAS 24 - 1:1999 standards of weather ability and security. We understand, that knowing that your home and family are protected, is a major factor when choosing your new doors. Solidor holds BSI ISO 9001 and Secured by Design status. At Solidor, security and safety are amongst our highest priorities. Sadly a property is burgled in the UK every minute, but our 48mm thick solid timber core gives you the strongest and most secure option available in a residential door. EN 1303 Grade 2 security - The Magnum cylinder has been tested to the highest grade of BS EN 1303 for security achieving the maximum resistance to physical attack. 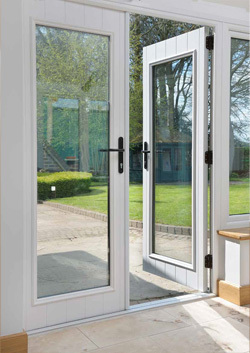 All of our designs, in all of our colours are available in a French Door option, with a range of handle options, encompassing a high security, adjustable, multipoint locking system. 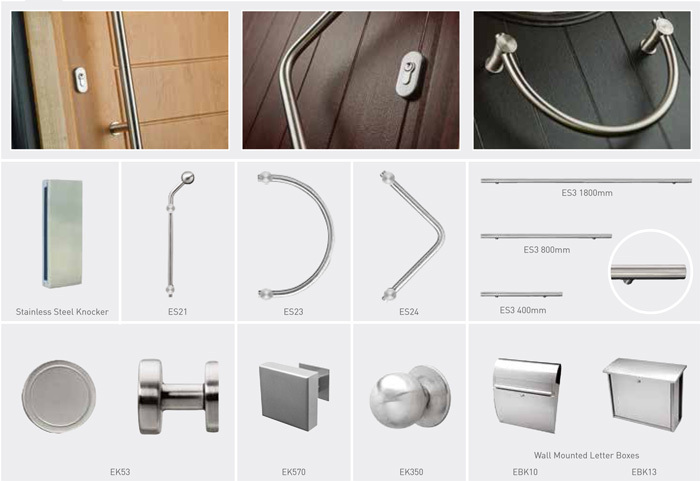 N.B Lever pad is appearance only, split spindle is not available on French Doors. You can also complement your property with a full range of matching full height and half side panels.